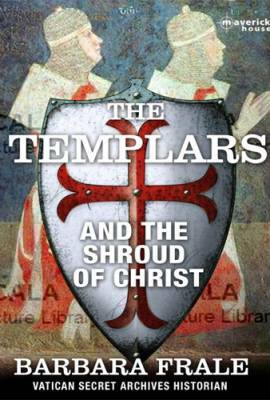 The Templars and the Shroud of Christ is the second book in this series by Vatican historian, Barbara Frale. The Knights Templar – the most powerful religious-military order of the Middle Ages – almost certainly looked after the mysterious shroud that is now kept in Turin. Worshipped in a relentlessly secret manner, and known in its intimate nature by only a handful of the order’s officials, the swathe of fabric was kept in the central treasury of the Knights Templar, who were known for their expertise in the field of relics. In an age of doctrinal confusion, the shroud might have represented for the Knights Templar a powerful antidote against the spread of heresy. By tracing faint clues concerning the shroud’s movements during medieval times, Barbara Frale reaches back into the centuries and explores complex hypotheses on the shroud’s origins and offers a new viewpoint on this controversial relic.